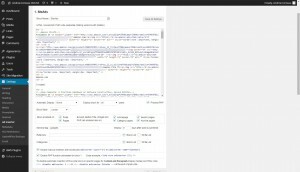 Adds metadata fields including title and description pages and posts within the site. While WordPress enables the addition of custom fields to each post and page that you create, it does not, by default, provide a specific way to add metadata to posts which is important for SEO. This simple plugin does just that. 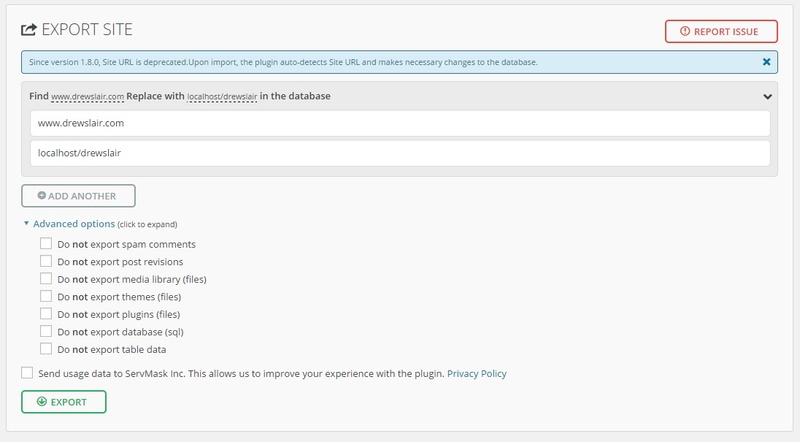 In addition to enhancing individual pages, the plugin’s settings panel, accessed from the main plugins page, includes site-wide enhancements such as a Front Page description and keywords as well as global keywords and meta tags which can be used to include Google site verifications and other code. 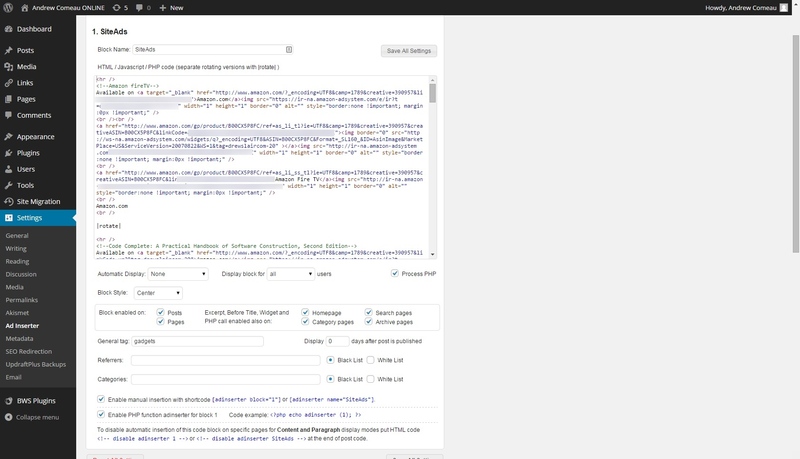 The plugin will also generate OpenGraph data to enhance visibility of different types of content to search engines. While not as sophisticated or complex as something like Yoast’s WordPress SEO, this plugin provides the necessary fields to help boost your content further up the search engine ladder and I found it very effective on my sites. Provides a way to maintain rotating advertisements within a website. Maintaining site advertisements can be time consuming but this plugin makes it a little easier. Ad Inserter by Spacetime enables the webmaster to maintain multiple channels of rotating ads. Each of these channels can be placed on any page or even within the site’s theme with a single shortcode. 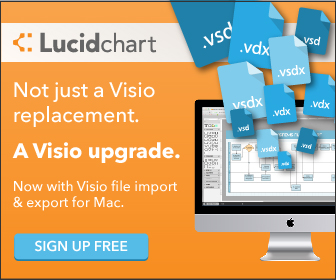 Enables migration of an entire website, replacing specific strings including URLs. There are times when you might want to move an entire site in order to change domain names, location on your server or, as I did recently, you might want to create a local version of a site for development and testing. This plugin is specifically designed for WordPress sites, replacing the URL values that you specify and fixing various issues specific to moving a WordPress site. 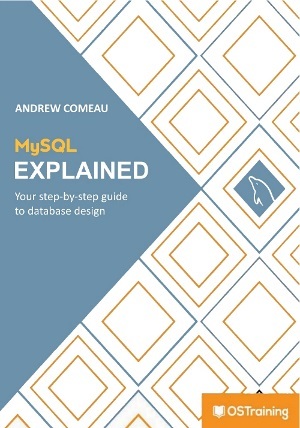 It copies the database and all files including plugins and themes into a compressed file which you can download to your computer and then import to another WordPress site that you’ve created. I’ve successfully migrated a site with it although I did find that it’s best to deactivate certain plugins before doing a migration. The plugin is also great for grabbing a quick backup of a site. Prevents brute force attacks on your website by limiting the number of login attempts. The widespread adoption of WordPress makes it a natural target for hackers and I’ve sometimes thought about putting advertisements on my wp-login.php file after seeing thousands of attempts on someone’s part to hack the password. The first precaution, of course, is to not use “admin” as an administrator username and to use strong passwords. Even if you keep them out of the site itself, however, there’s still the problem of those thousands of attempts and their impact on your site’s performance. Limit Attempts by BestWebSoft simply limits the number of times a user can attempt to login. 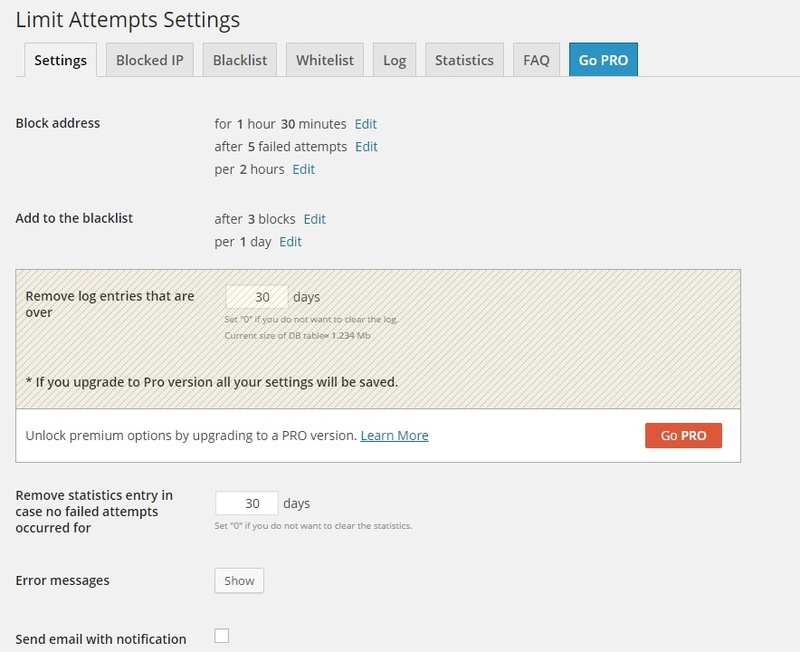 You can customize the settings to allow for a specific number of attempts within a specific time and to specify the amount of time to block the user’s IP address. 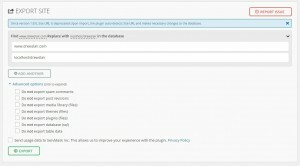 The plugin also maintains blacklists and whitelists and shows the statistics for excessive login attempts and the response to each. I’ve only been using it for a short time but so far, it seems like an effective tool. Redirects URLs of pages that have been moved, specifying the proper code. Web pages don’t last forever. Sites get restructured, move to other domains or get rebuilt entirely. When this happens, it’s a good idea to provide some kind of transition for visitors and search engines from the old addresses to the new site. Maintaining the old pages with redirect codes is a messy option and that’s where the SEO Redirection plugin comes in handy. With SEO Redirection, you can direct specific posts from the Edit Post screen or create custom redirections from the plugin’s main screen. For example, my professional site still gets a lot of requests for pages that existed under the old ASP.NET version of the site. I’ve also changed the preferred domain name and moved a few things around. In the screenshot above, you can see how the Custom Redirection screen includes an entry for each page that should be redirected and where. It also specifies a 301 redirection, signaling that the content has been moved permanently and that bookmarks should be updated. 302 and 307 temporary redirects can also be specified. The plugin will also allow you to specify a default redirection for any URL it doesn’t recognize that results in a 404 code (not found). 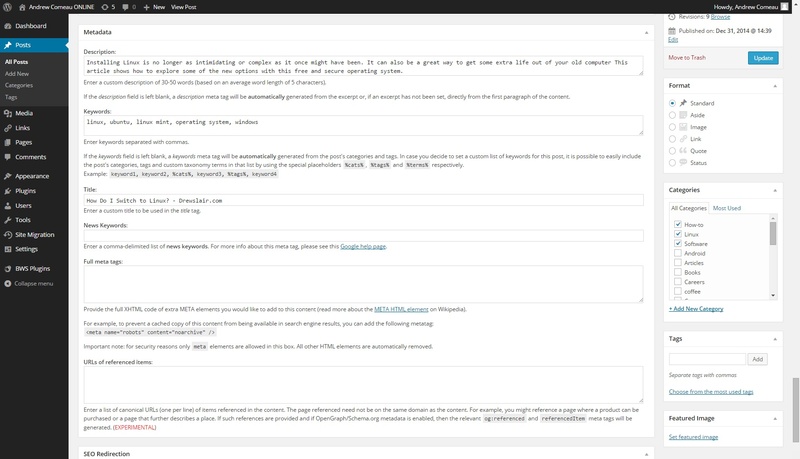 It then tracks those URLs on another screen so that you can review them and assign custom redirections as necessary. This feature can be deactivated on the settings screen. No, I haven’t modified it yet, I’m just rnninug the defualt edition. My only things I was going to modify though was to make it cache rather than using a bazillion queries on each page load. I am however displaying it via a rather than a PHP plugin though, so that could be your problem. 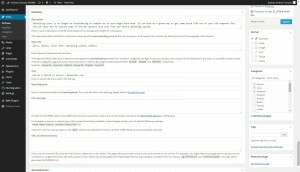 I just made a copy of my page.php and then added the archives function to it after the_content() or whatever.Oh, and do note that I’m rnninug WordPress v2.0.2-RC2 (it’s slightly older than v2.0.2) as I haven’t had a chance to upgrade. However, I really doubt there was any changes made between my version and the final that would affect this plugin.